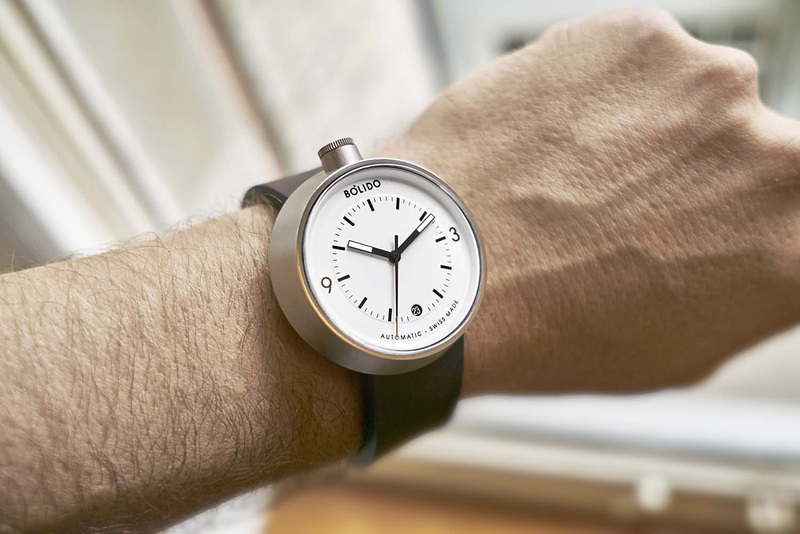 Pierre Nobs the founder of Ventura watches, has teamed up with award winning designer Simon Husslein (designed watches for Nomos Glashutte, Braun, and Ventura) for the beautiful Bolido watch, a Swiss timepiece that features a number of unusual characteristics that allow a very attractive price. 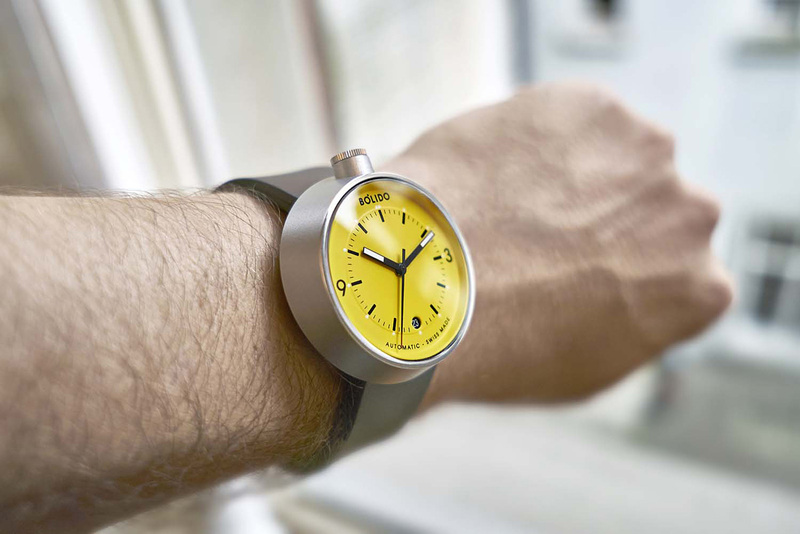 The minimalist watch features a one-piece stainless steel 43mm case with the face sitting slightly angled towards the wearer for better legibility. 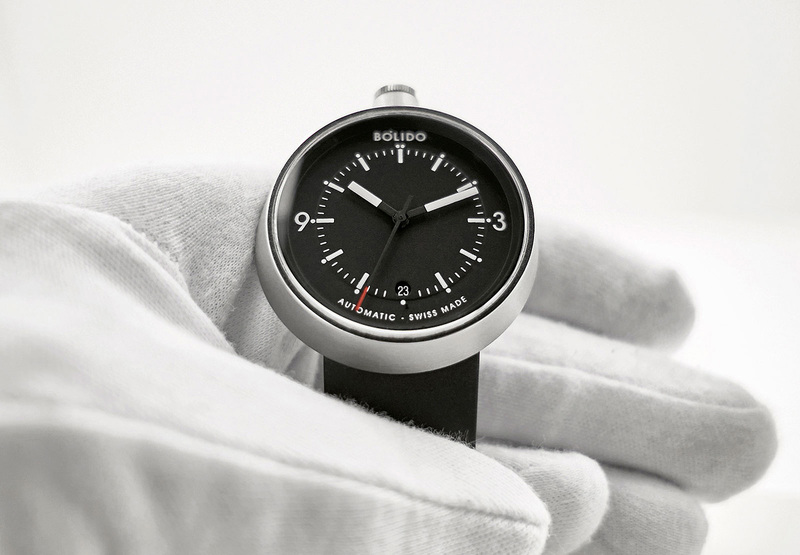 Other standout design features include a crown at 12 o’clock, plus an unusual strap integrated into the underside of the case and hidden inside the base. 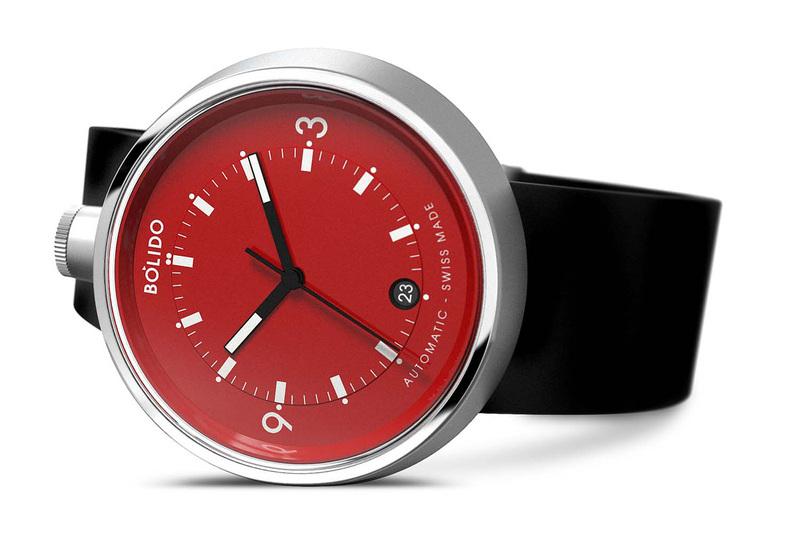 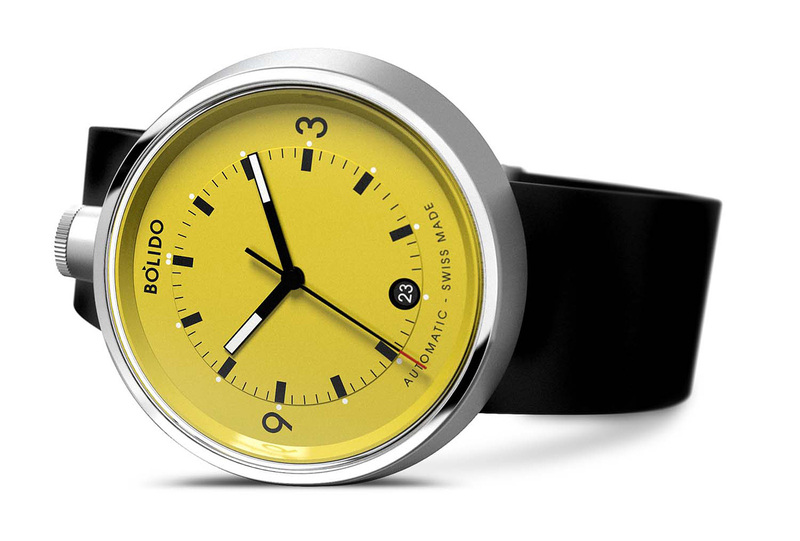 Water-resistant to 100m, the Bolido is available in several colors. 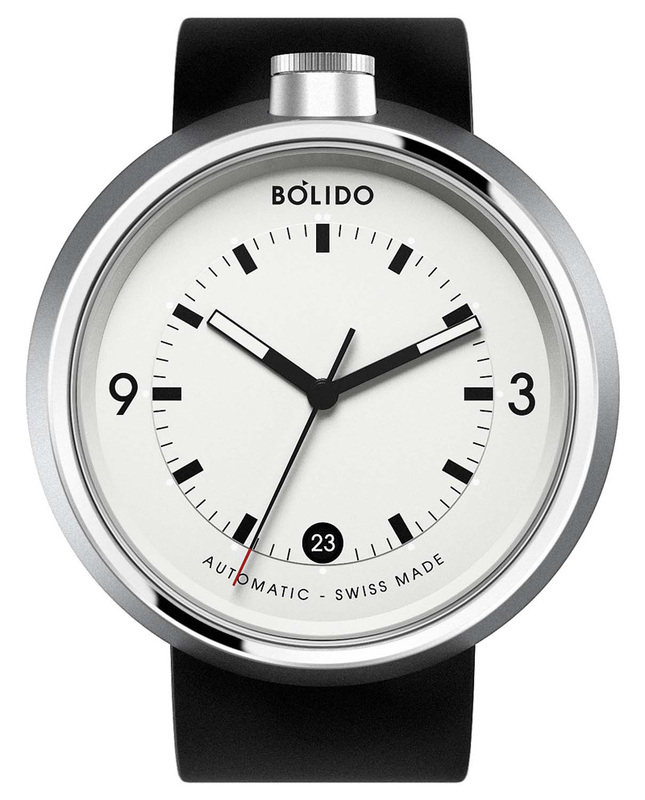 Meanwhile you can check other men’s black watches.